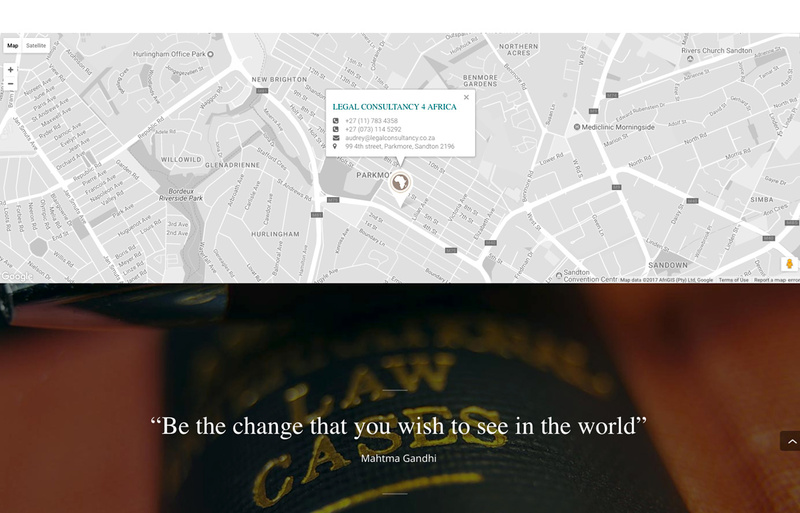 An identity design, responsive WordPress website and photography for a startup. 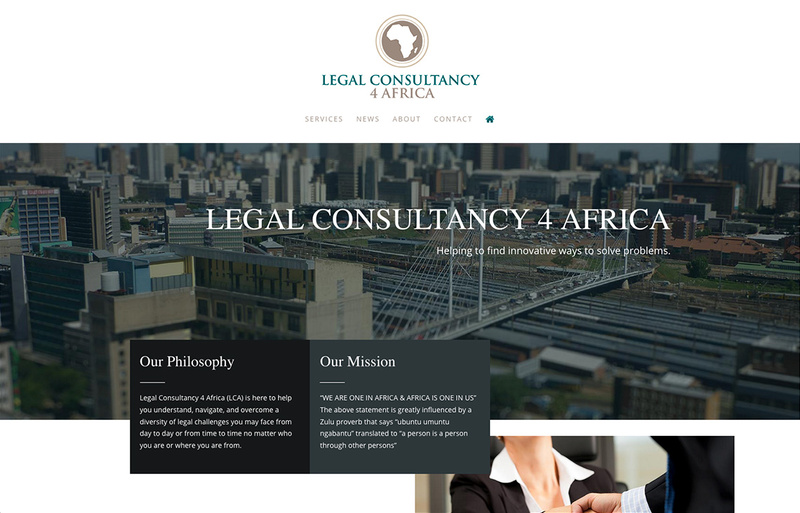 The Legal Consultancy 4 Africa website is perfect project for us combining graphic design, website design and photography requirements. 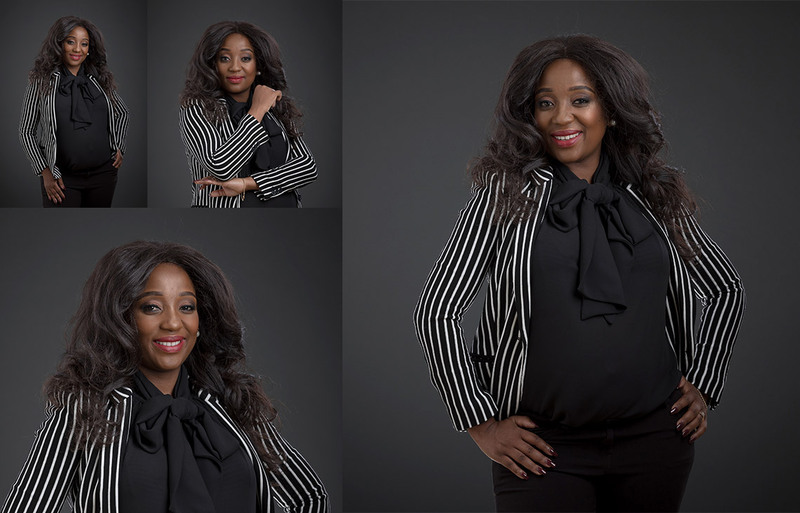 After approached us for a corporate portrait we realised this startup also needed a logo design and a website. 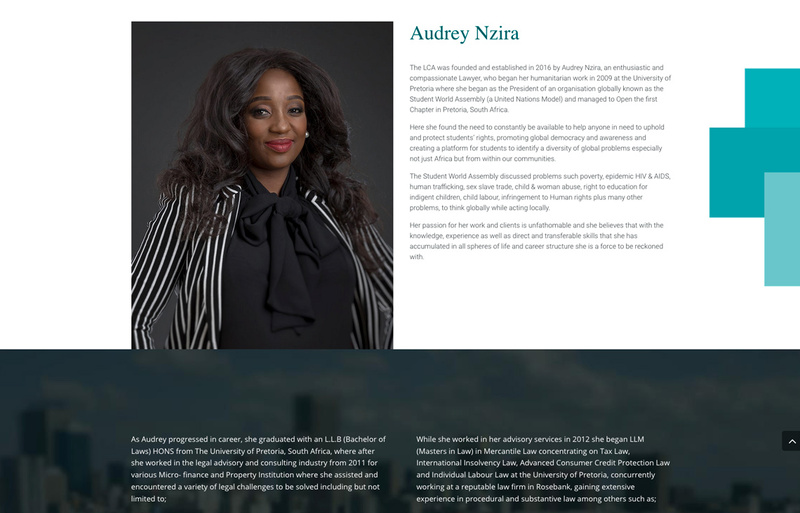 As a startup, Legal Consultancy 4 Africa’s budget was tight, so our solution for the website was to make use of a Premium WordPress theme and adjust the colours and fonts to match the brand identity we developed for them.